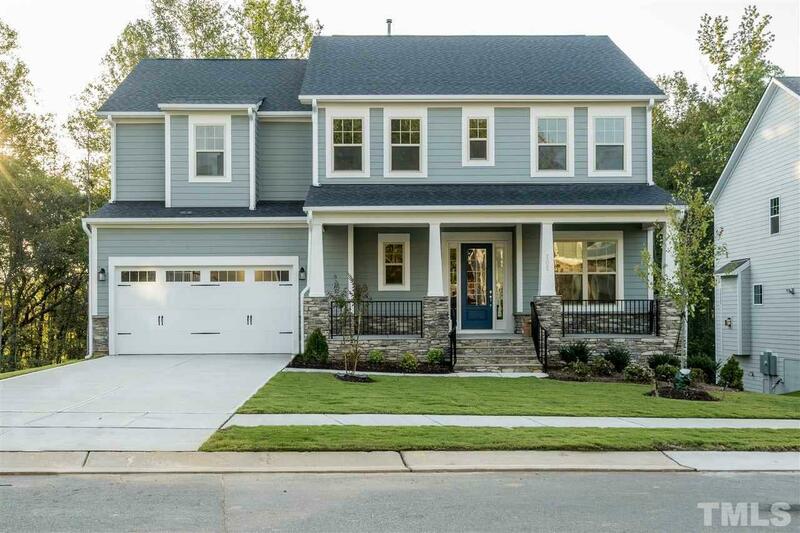 Finished walk-out basement 6 bedrooms, 5.5 baths, 2 car garage, 1st floor w/ gourmet kitchen, walk-in pantry, brkfst nook open to the great rm, 1st floor guest suite, study, bench w/cubbies from garage, screen porch & grilling deck. On the second floor youâll find the ownerâs suite w/ his & her closets, 3 bdrms, 2 baths, laundry & media room. The walk-out basement has a bdrm w/ w.i.c. & full bath and a huge bonus rm with wet bar rough-in & frig line, unfinished storage w/ laundry rough-in.